Tokyo (October 2, 2015) – Konica Minolta is pleased to announce that the company has been awarded Good Design Award 2015 by Japan Institute of Design Promotion (JDP) for its A3 monochrome MFP (multi-functional peripheral) bizhub 367/287/227,’ and its mobile application ‘bizhub Remote Access.’ It is highly recognized that both hardware and software are designed in a wholly balanced manner. Photizo Group has received an unsolicited letter postmarked December 23, 2015 stating that “Paul Rooke, Jeri Isbell, the executive officers of Lexmark, and the Board of Directors are preparing to sell Lexmark to Konica Minolta…”, seemingly confirming our own due diligence and supposition earlier this year. This incendiary letter, penned by the infamous Lexmark Employees for Ethical Conduct (LEEC), pleads with Kentucky’s Governor Bevin and Lexington’s Mayor Gray to “act immediately” and “save our careers”. Tokyo (November 30, 2015) – Konica Minolta, Inc. (Konica Minolta) is pleased to participate in the prestigious publication of “COP21 CLIMATE CHANGE THE NEW ECONOMY (CCTNE)” with a two-page advocacy, supporting the global initiatives discussed at COP21 in Paris this month. Tokyo (February 23, 2015) – Konica Minolta, Inc. (Konica Minolta) is pleased to announce that the company has been included in the FTSE4Good Global Index by FTSE Group* (FTSE) in the U.K., one of the best known indices in the world for socially responsible investment (SRI) communities. This is the twelfth year in a row that Konica Minolta earned the recognition. Konica Minolta, Inc. (Konica Minolta) has been awarded RobecoSAM Gold Class, a global distinction for corporate sustainability. 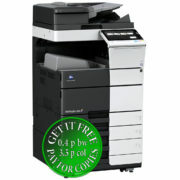 Konica Minolta has earned the highest evaluation in the Computers & Peripherals and Office Electronics sector for its economic initiatives including innovation management and risk management, as well as for environmental initiatives on climate change strategies, environmental policy and its management. “ What it boils down to with Konica Minolta is consistency,” says George Mikolay, BLI Senior Product Editor for A3/Copier MFPs. 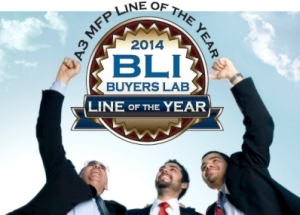 “No other vendor brings the same high level of performance across its product line to the same degree.” In BLI’s rigorous two-month laboratory evaluation, Konica Minolta’s bizhub® MFPs have proven again and again that performance matters. 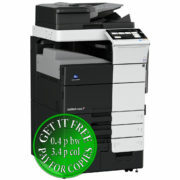 BLI technicians have praised these MFPs for their superiority in many areas—scan speeds, print quality, color consistency and simplicity of operation. Tokyo (March 13, 2013) – Konica Minolta Business Technologies, Inc. (Konica Minolta) is pleased to announce that Buyers Laboratory LLC (BLI) *1, the leading global provider of information and testing services to the digital imaging industry, chose Konica Minolta as the winner of its most coveted award, 2013 “Line of the Year” in the A3 MFP*2 segment for the third consecutive year. 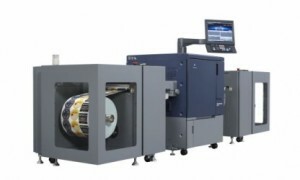 Konica Minolta has launched at Labelexpo Europe 2015 its first full-digital label press, which aims to fill the gap between entry-level and high-end digital label printing presses. 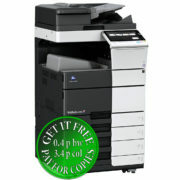 The bizhub Press C71cf is claimed to be ideal for profitable short to mid runs. Converters benefit from its ease of operation, production flexibility, quicker turnaround and variable data printing functions, says the company.